The church of Cetatuia Monastery. 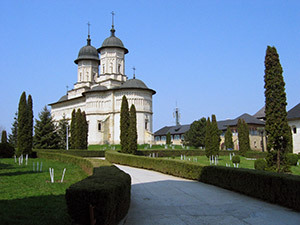 Conceived as place for retreat and armed resistance, Cetatuia Monastery was built between 1669 – 1672 by the ruler Gheorghe Duca. For this reason, the exterior wall has fortifications with towers on the corners. Inside the walls, there are cells, the kitchen, the abbey with the refectory, cellars for the wine obtained from its own vineyard and ruler’s house with the Turkish bath. In the southern side, there can be find the gothic room “Lady Anastasia”, with the famous cellars of Cetatuia, of which they say that were connected through a tunnel to the Royal Court. But, according to the historians, this is only a legend, and the specialists in constructions say that it would have been impossible to build such a tunnel which should have crossed, down under, the swampy area of Bahlui, also called “La Broscarie” (Frog’s pond). 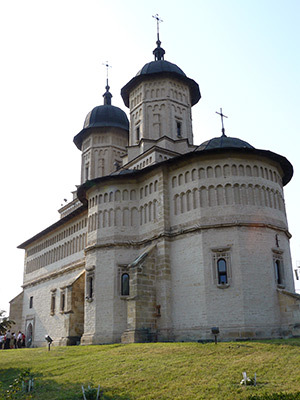 From the architectonic point of view, Cetatuia Monastery’s Church is considered by specialists a sober copy of The Church of the Three Hierarchs, foundation of Vasile Lupu, dating back to 1639. 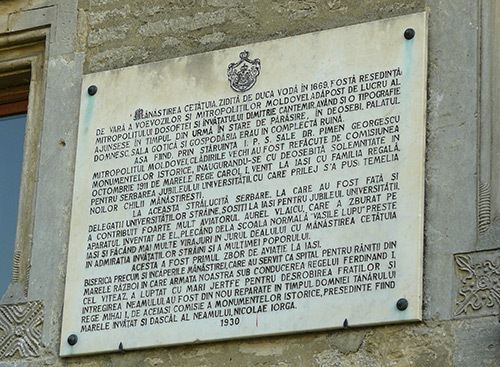 Inside there is the tomb of the ruler Gheorghe Duca, that of his daughter, Lady Maria, of his brother, Saul, and of his son, Ionita. In 1682, at Cetatuia came into being a printing house where there were printed books for the churches in Orient. In charge with the good functioning of the printing press were the monks who knew Greek, under the supervision of hieromonk Mitrofan, who then became Bishop of Husi. 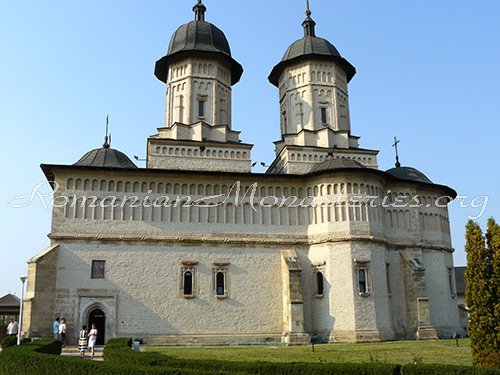 The Museum of the Monastery is another touristic attraction, together with the tower called “Pilgrim’s Dinner” from where one can admire the panorama of Iasi. Monastery’s dedication day is the feast of Saints Apostles Peter and Paul, on the 29th of June. What are the dimensions of the main building? Who are the artists who did the magnificent paintings, frescos and friezes?